This plant was most famously used during the medieval period for the bubonic plague. However‚ these days blessed thistle is used in nutritional supplements because it contains tannins‚ chemicals that may support gastrointestinal health and deter certain inflammations. 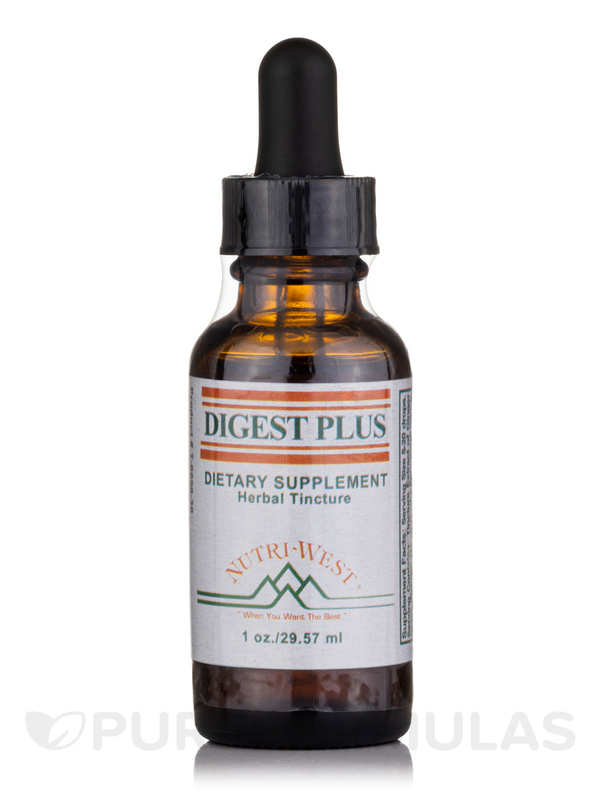 Digest Plus features this plant to possibly help support the pancreas. What this plant may be able to do is slow down the absorption of sugars in our stomach while promoting insulin. It has been suggested that this may help decrease blood sugar‚ although more evidence is needed. Aside from this plant's possible cardiovascular benefits‚ it may also help alleviate symptoms of digestive issues like indigestion and diarrhea. Like Hawthorn Berries‚ this botanical may also help with some symptoms of digestive issues like gas‚ heartburn‚ and more. The inner bark of this tree is utilized for medicinal purposes. It has also been purported to possibly promote the secretion of a mucous that may help some stomach and intestinal issues. This pepper is popular as a culinary additive or ingredient. But the capsicum within it also features some possible medicinal benefits. For instance‚ those experience gastrointestinal discomfort‚ may experience relieve from capsicum. Ginger (root) 20%‚ Blessed Thistle 12%‚ Fenugreek 12%‚ Red Beet (root)‚ Dandelion (leaf/root)‚ Slippery Elm (bark)‚ Pau D‚ Arco‚ Red Clover (leaf)‚ Marshmallow‚ Hawthorn Berries (fruit)‚ Anise (seed)‚ Cayenne‚ Eleuthero‚ Gotu Kola‚ Dulse‚ Wood Betony‚ in an alcohol base. Medicinal amounts of any herb should only be taken under the supervision of a licensed professional. Some herbs in large amounts are contraindicated in certain conditions or with certain drugs‚ for instance: hawthorn berries and ACE inhibitors/digitalis-like drugs‚ Eleuthero and hypertension‚ and ginger/pau d'arco and anticoagulant drugs such as coumadin. A doctor recommended this tincture for me 10 years ago I was taking pills to relive digestion problems and to reflux they had dangerous side affects. I was to take the rest of my life. Digest Plus relived these systoms while healing my digestive systems without side affects.